‘Josephine Guittu ‘drives a Hybrid for living in Manila. In case if you are wondering if he has cracked the “technology” barrier to own a cheap non polluting vehicle then you are mistaken. Instead, a few weeks earlier he used to be a part of problem which makes millions sick in Philippines i.e. air pollution. He used to drive what can be described as a modified re- engineered two wheeler with a sidecar, powered by a polluting non-efficient two stroke engine. 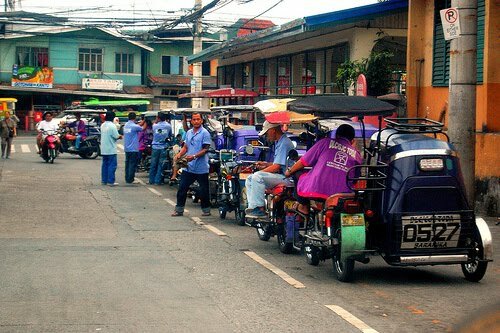 He used to drive across the local streets in Manila, ferrying 2-6 people at one time, creating a visible “wave of smoke” from the tailpipe across the city. When the distance travelled is as high as 100 km/day, the problem is definitely injurious. But in the past few weeks he has transformed his life and he proudly displays a new four stroke tricycle which “pollutes” less and saves valuable imported fuel while providing transport solution to poor-middle class people. He was extremely lucky to be one of 20 drivers who got help from the government and other stakeholders like “Partnership for Clean Air” in becoming less polluting. They designed a revolving-fund scheme to grave his two stroke out of the system. But, there are thousands of “Josephine Guittu” still waiting for help while people breathe polluted air in Manila. Read more of “Hybrids” Rule Philippines Streets! – Part 1 at CAI Asia Center’s Blog.